A large collection of historic newspaper scans was recently donated to Edison Ford. 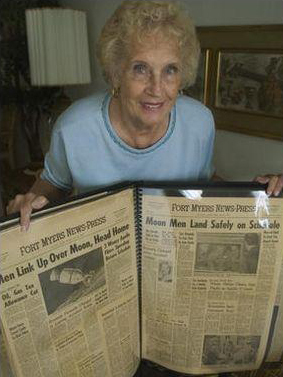 Mrs. Koelber allowed the Edison Ford staff to scan a collection of historic newspaper articles (including Fort Myers News-Press and others) relating to Thomas Edison, Henry Ford, Edison and Ford Winter Estates, and local icons such as Tootie McGregor and Jacob Summerlin. Curatorial staff scanned over 50 pages into the digital archives of Edison Ford, which will be used for research purposes.